Strategic planning and annual planning are both planning processes. 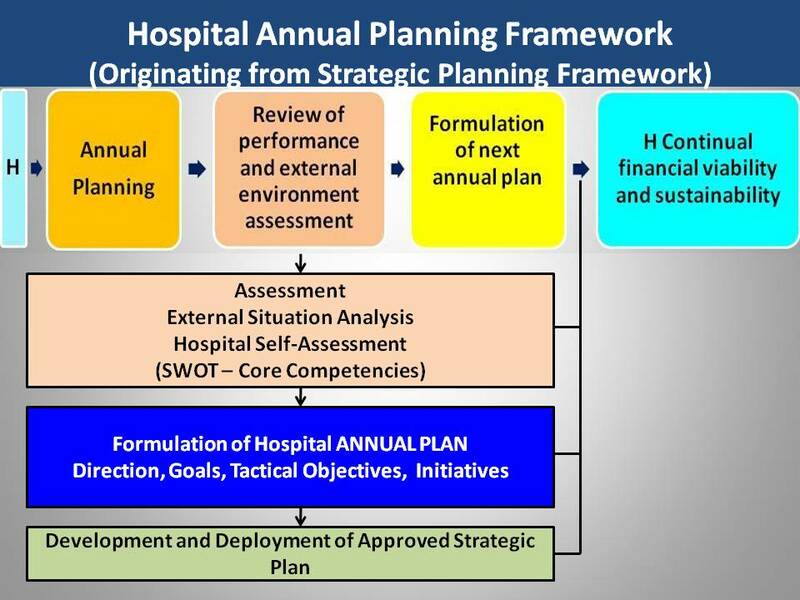 Strategic and annual plannings are hospital’s processes of defining (if not previously done) or reviewing (if there is a previous definition already) its business direction and making decisions on how to pursue this direction and on allocating its resources (capital and people) to pursue this direction. 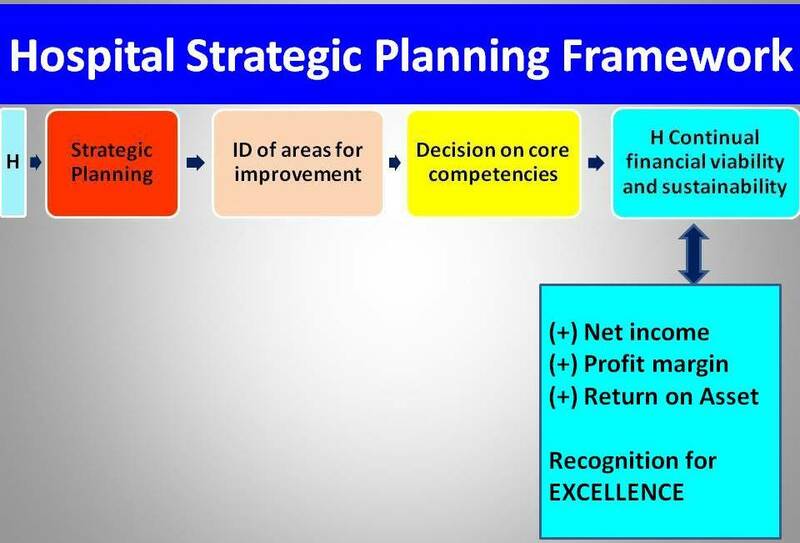 Strategic plans have longer planning time horizons, usually 3 to 5 years with a vision for 10 years or more. Annual plans, as the word “annual” means, have a 1-year planning time horizon. 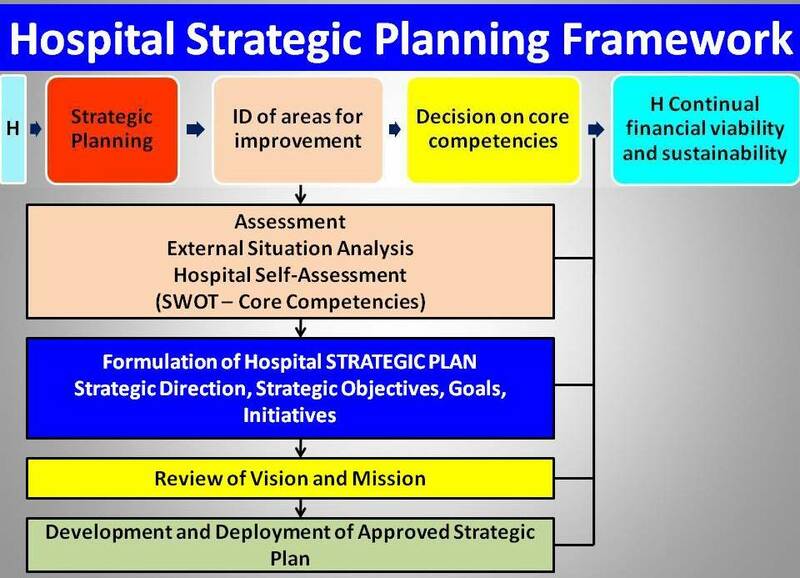 Strategic and annual plans should be aligned, coordinated, collaborative and integrated towards achievement of hospital’s vision, mission, goals and objectives. 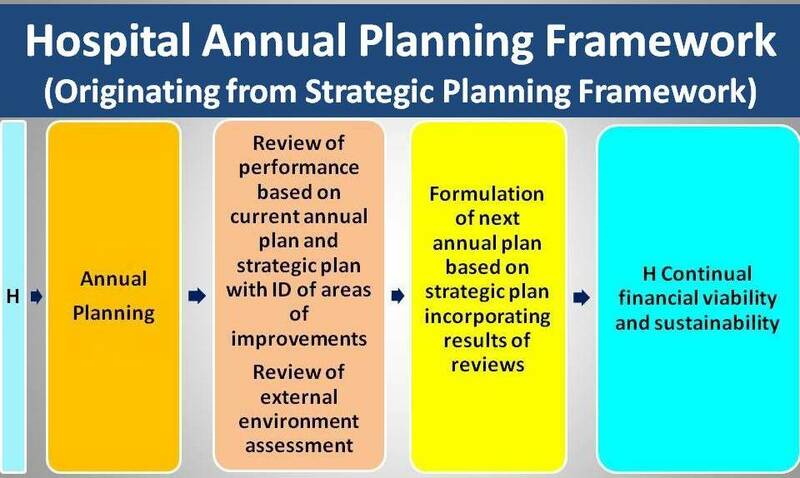 If the planning time horizon of the strategic plan is 3 years, then there must be a 3-year strategic plan (which is a general plan) and there must three annual plans (which are specific plans for the year). 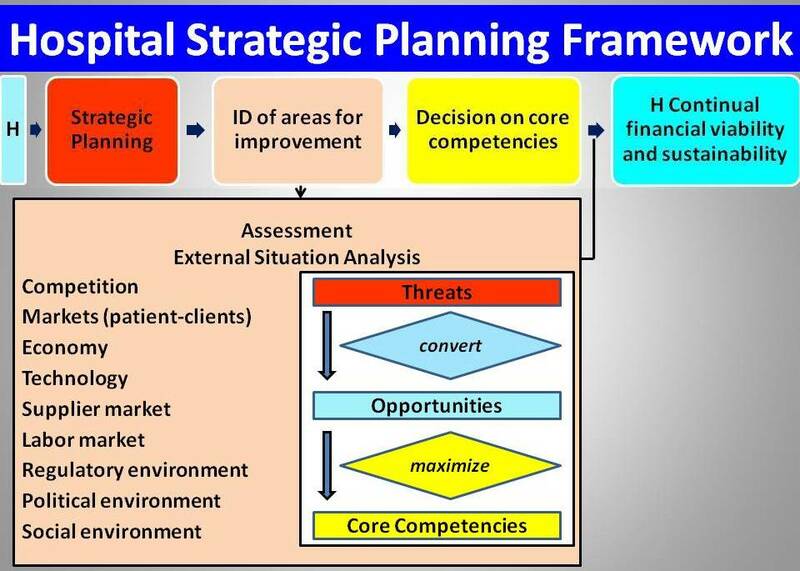 Each annual plan (which is more detailed than the strategic plan) must be aligned, coordinated, collaborative, and integrated with the 3-year strategic plan. 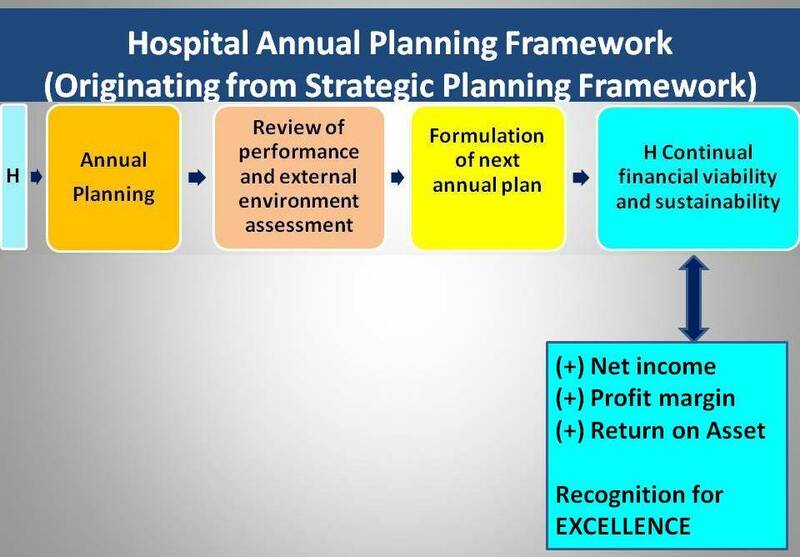 At the end of the first, second, and third year, the 3-year strategic plan must be referred to and used as guide for tracking and evaluation of accomplishments and review for any needed changes, both major and minor. 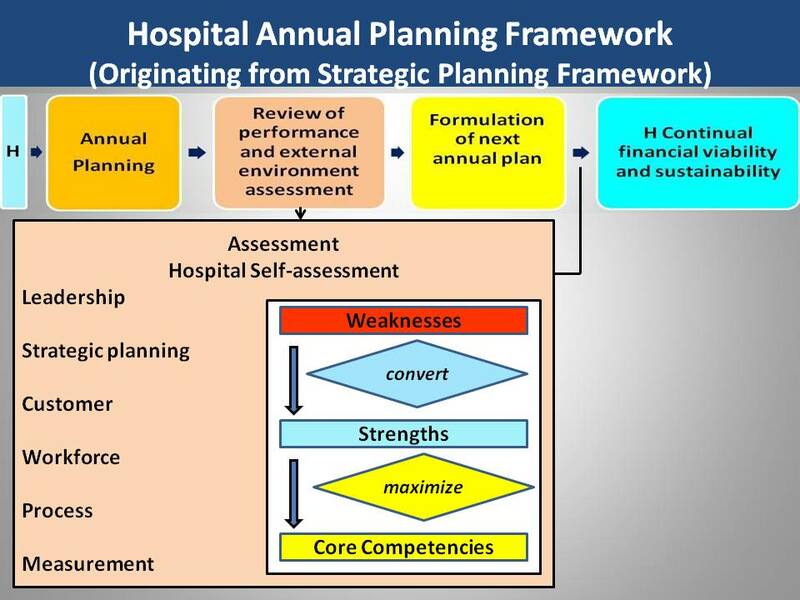 Planning, both strategic and annual, should be done at the level of the whole hospital and at the level of the units (or departments). Planning at both levels must be aligned, coordinated, collaborative and integrated. For example, planning at the hospital level must consider the plans of the units (or departments). 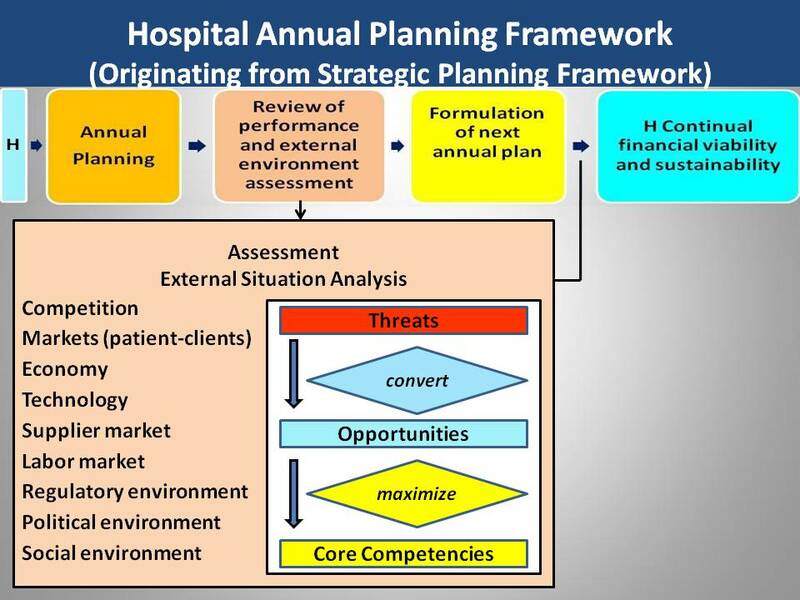 Planning at the level of the units (or departments) must contribute to and be aligned with the hospital plans. 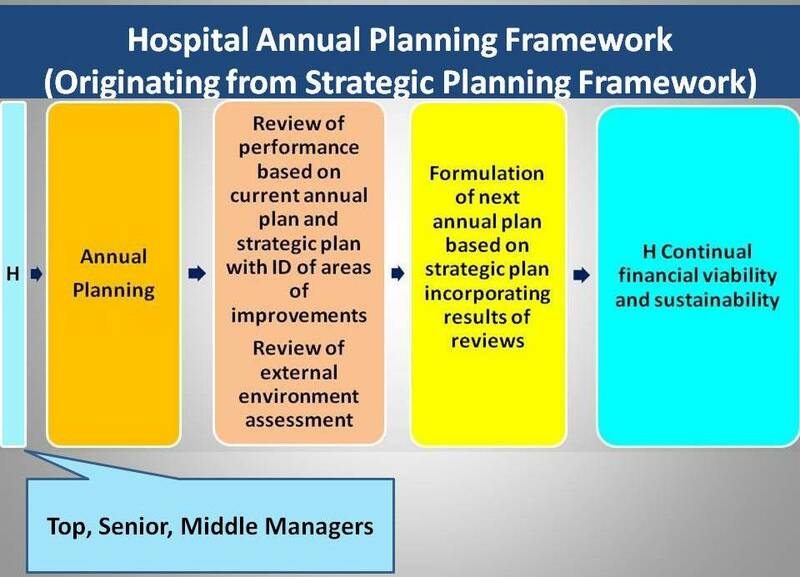 Below are my recommended frameworks for strategic and annual plannings at hospital level. See attachment for the MS Word files. 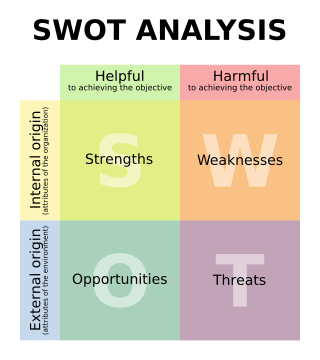 These frameworks can also be used at the unit (or department) level. Remember, planning at both levels must be aligned, coordinated, collaborative and integrated. Before going to the details of the two frameworks, look at the differences of the two at a macrolevel.